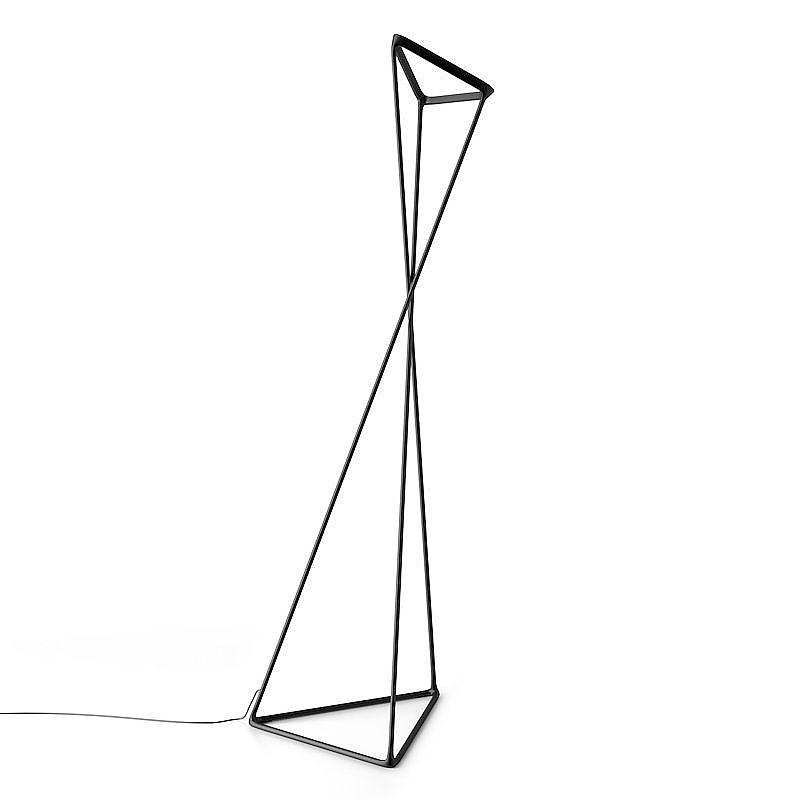 HomeBlogHome DecorLuceplan TANGO Led Floor Lamp. 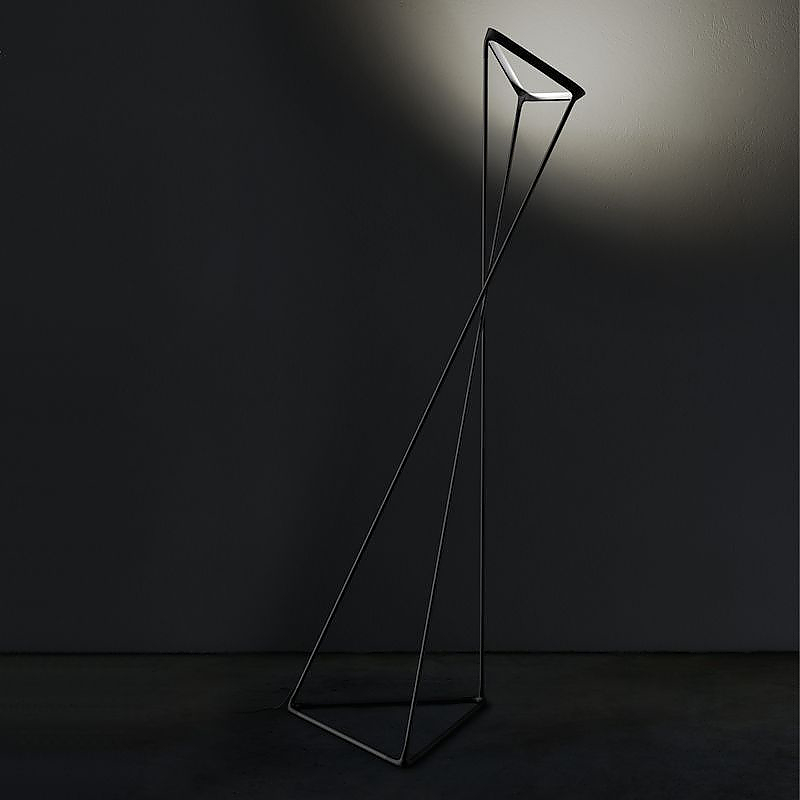 Luceplan TANGO Led Floor Lamp. 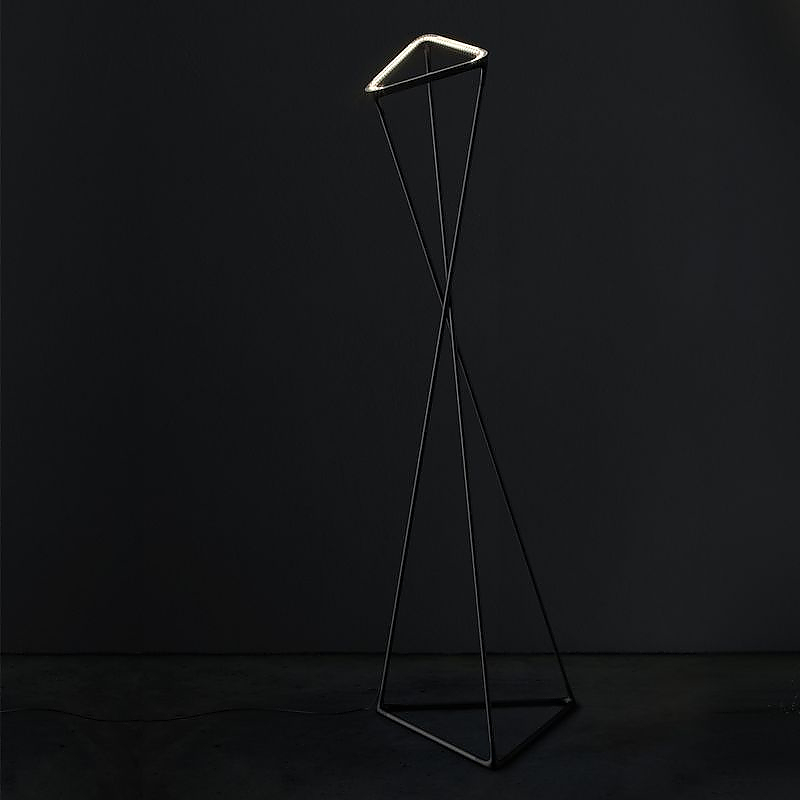 TANGO is an excitingly minimalist and pure LED floor lamp designed by Argentine designer Francisco Gomez Paz for Luceplan. 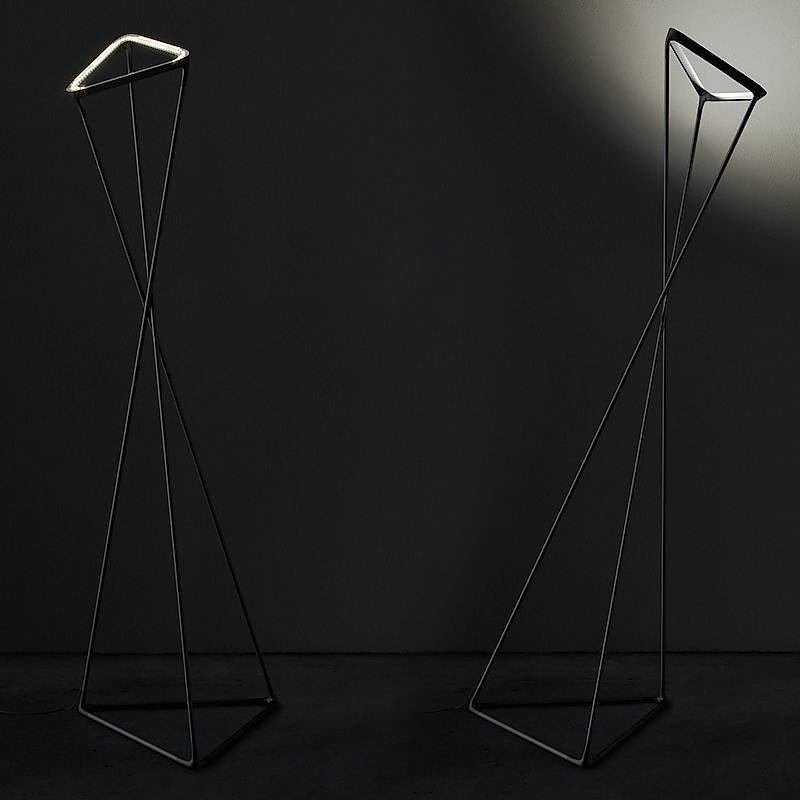 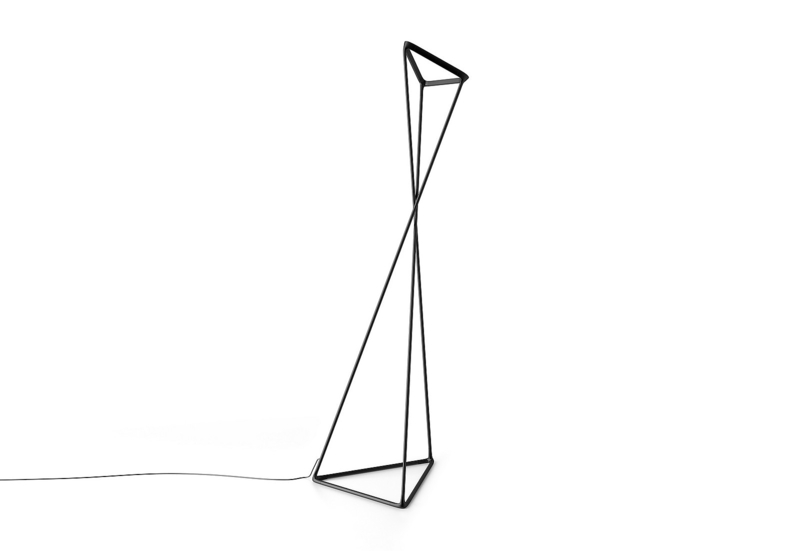 An innovative floor lamp for indirect lighting, in which the designer has metaphorically transfigured the harmonious, sensual movements of the dance of the same name, giving the fixture a dynamic posture of variable geometry, which through a simple gesture makes it possibly to gently adjust the direction of the beam. 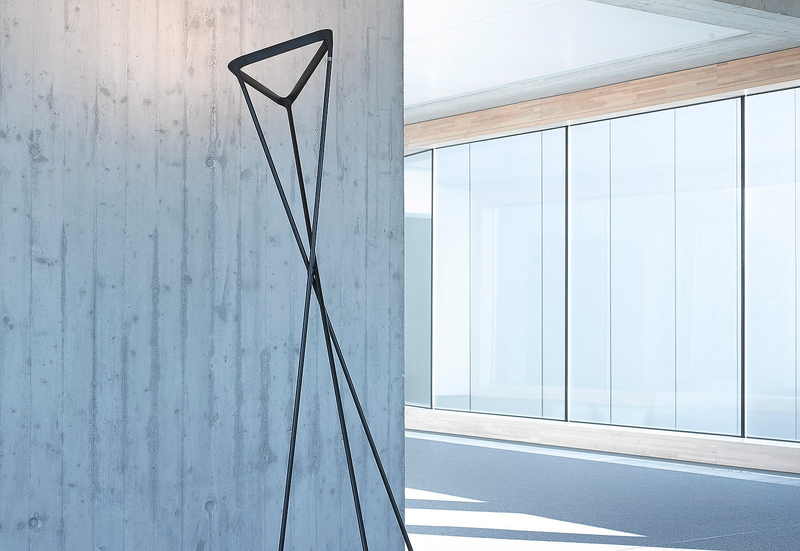 Mounted on a triangular steel base, the jointed structure of the lamp composed of three mobile aluminum shafts with elastomer joints nimbly lends itself to a fluid mechanical torsion movement generated at the height of the middle part of the shafts. 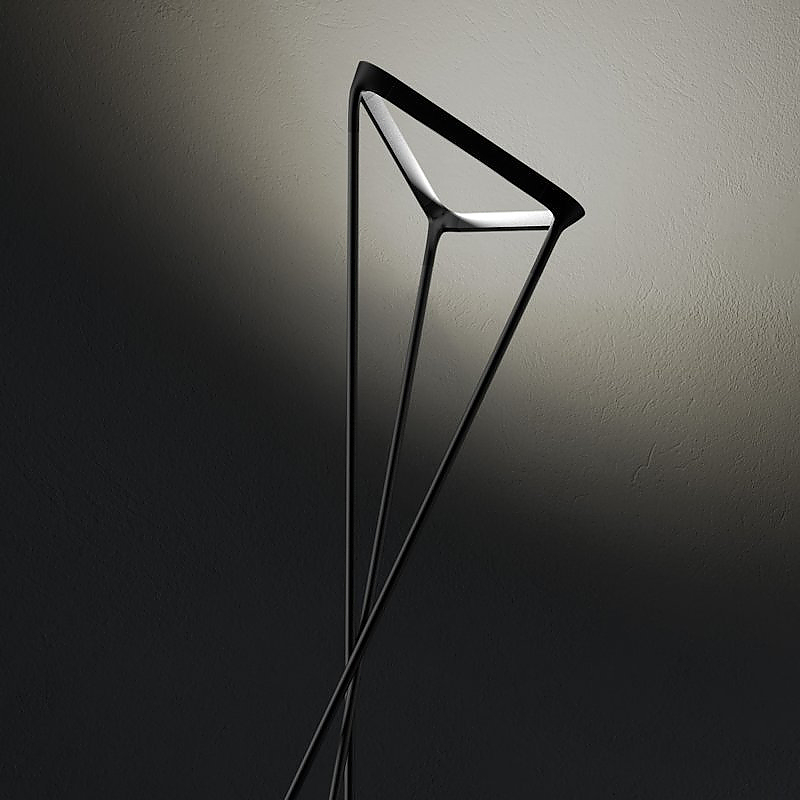 A movement that is propagated up to the top of the lamp, or at the position of the reflector, which is also triangular, setting its angle and making it possible to direct the light where it is needed with respect to the standard initial position, in which the beam is aimed upward, and the position of arrival, in which it is directed towards the wall. 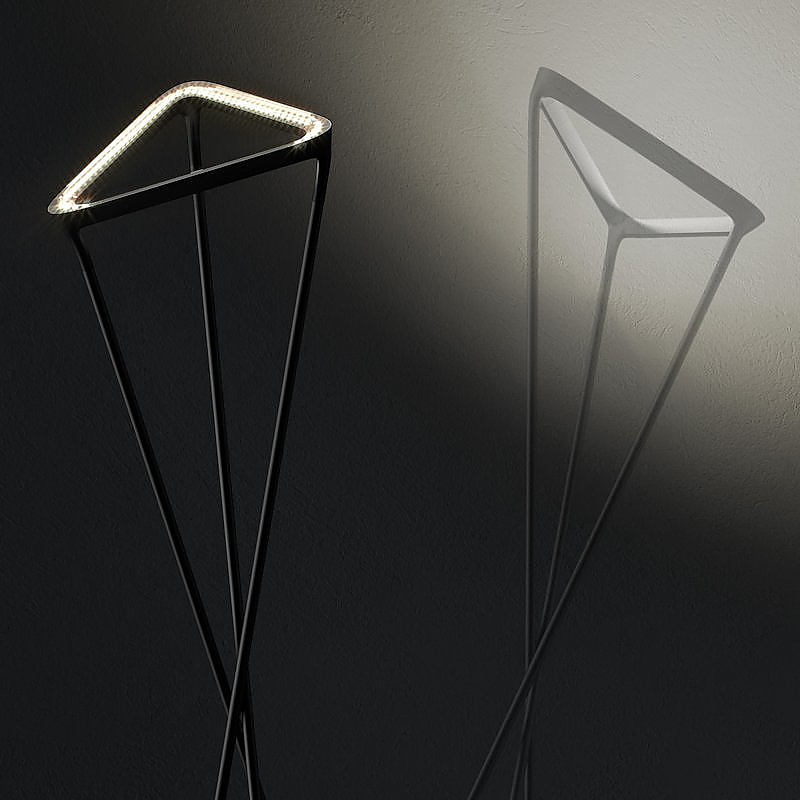 Outfitted with linear LEDs, the reflector of the lamp contains the electronic circuitry and emits diffused, homogeneous indirect light thanks to the screens in molded methacrylate. 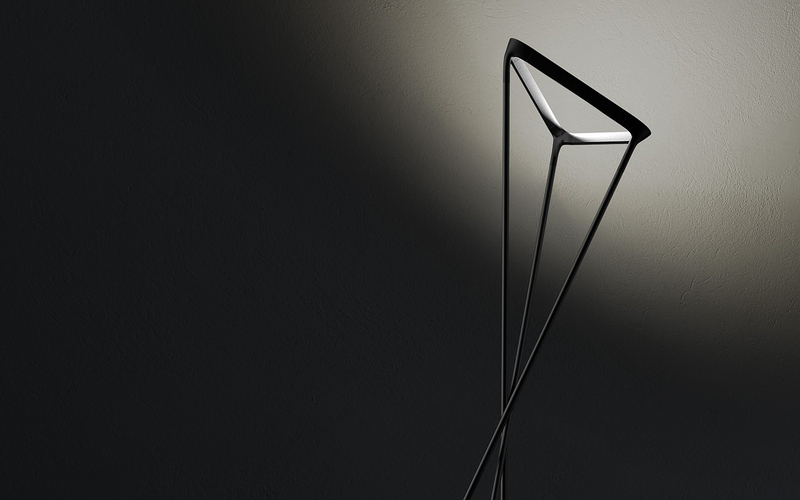 The on/off switch and sensory dimmer are placed near the upper part of one of the three shafts that support the lamp’s reflector. 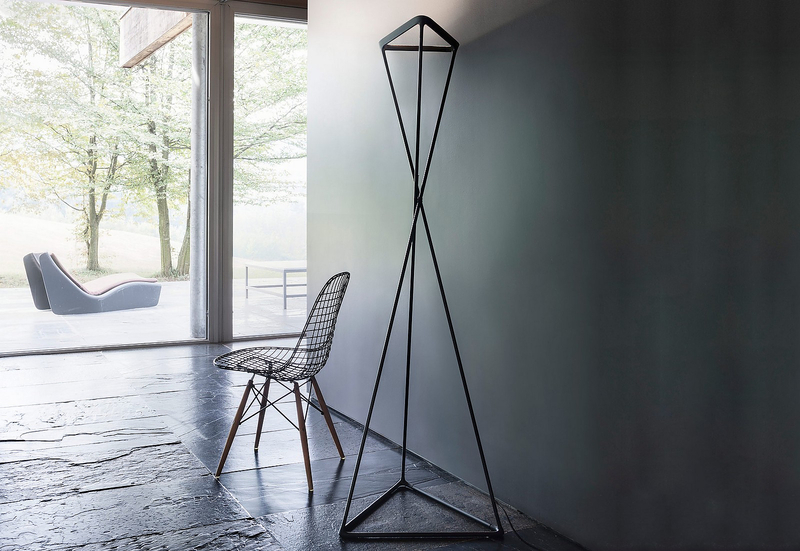 Zermatt Cutlery by Patrick Jouin for Puiforcat.